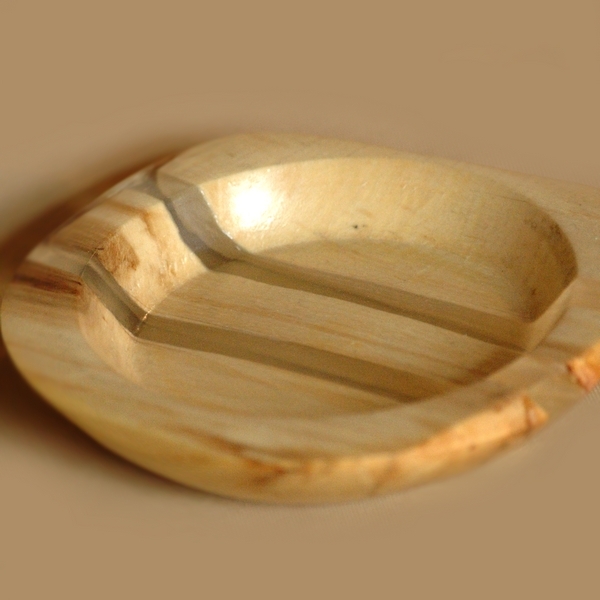 A little flat vase of natural wood. The transparent jewelry resin insertion glows in the dark. A nice bedside table decoration. Suitable for storing small items. An original interior decoration. Keep in mind that the phosphor needs to be "charged" with light during the day to glow.